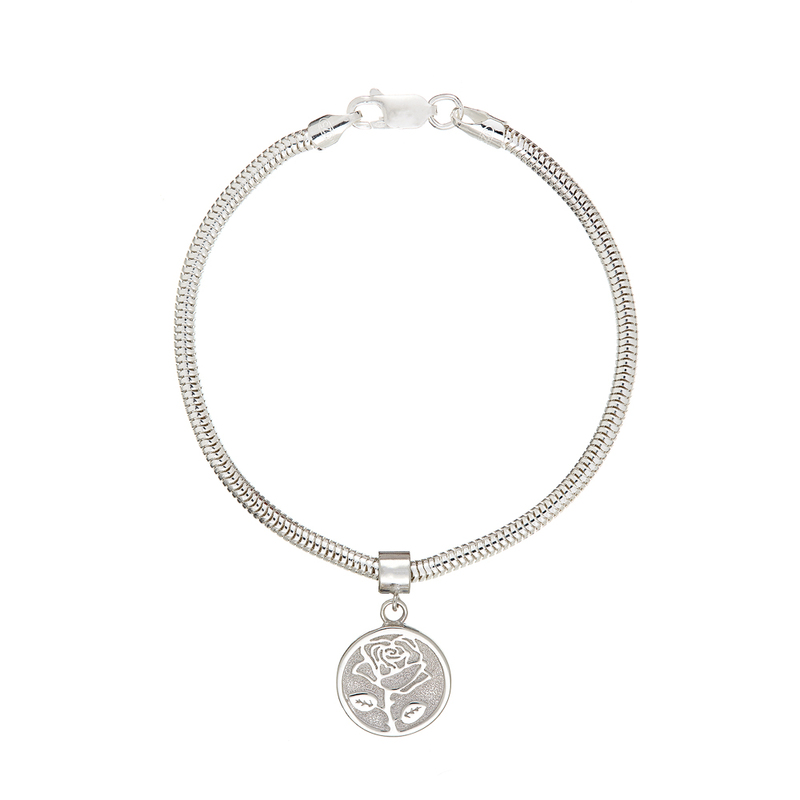 This rose-inspired design is full of subtle meaning. 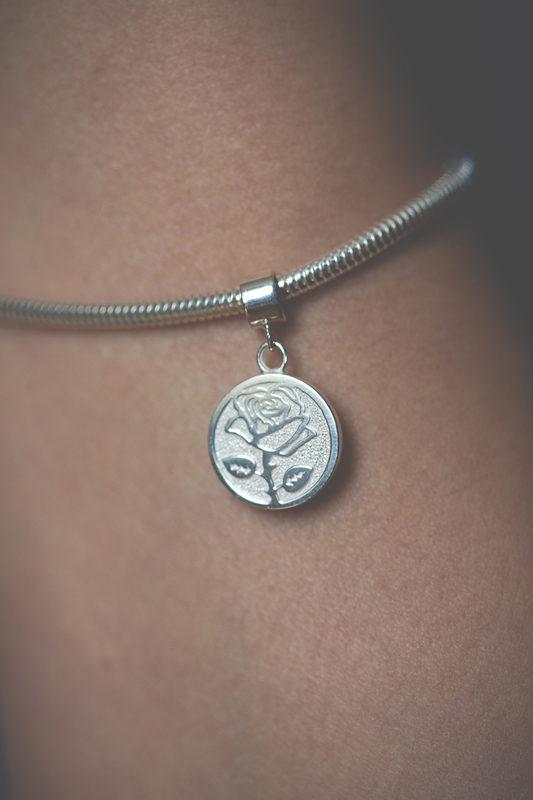 The small heart hidden amongst the rose petals serves as a reminder of love, while the thorns on the stem symbolise the strength of unconditional love in the face of all obstacles. 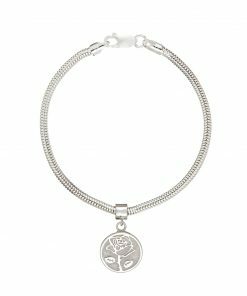 There’s a nice contrast between the high polish finish of the rose design and the textured finish of the recesses. 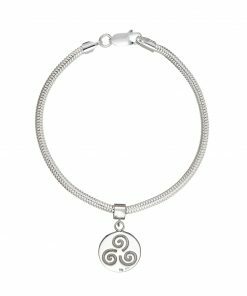 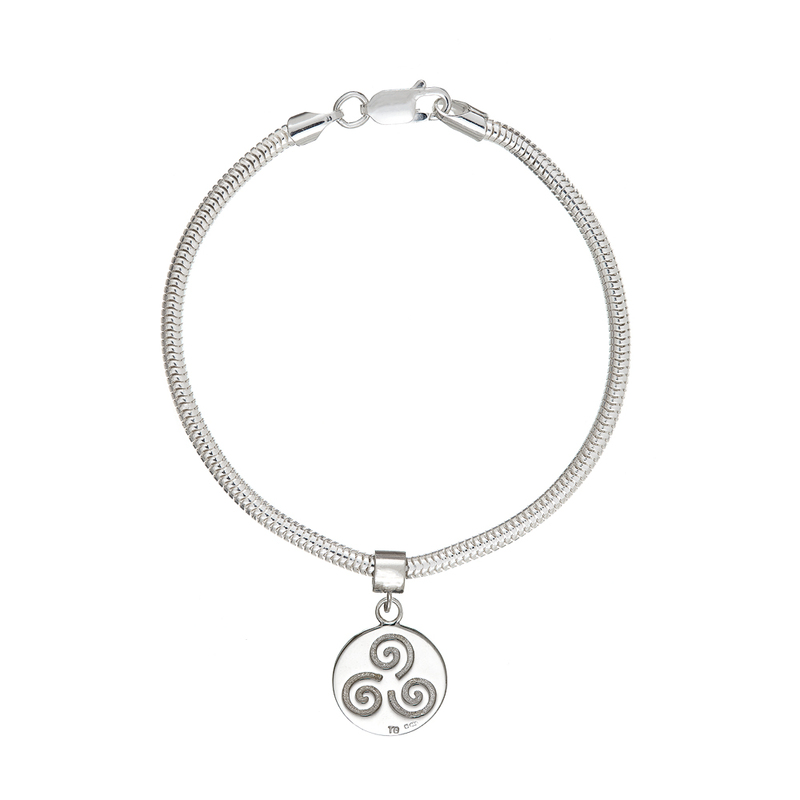 The back of this beautiful charm features a triple spiral (triskele) representing eternity. 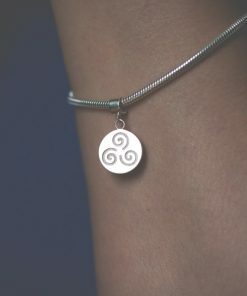 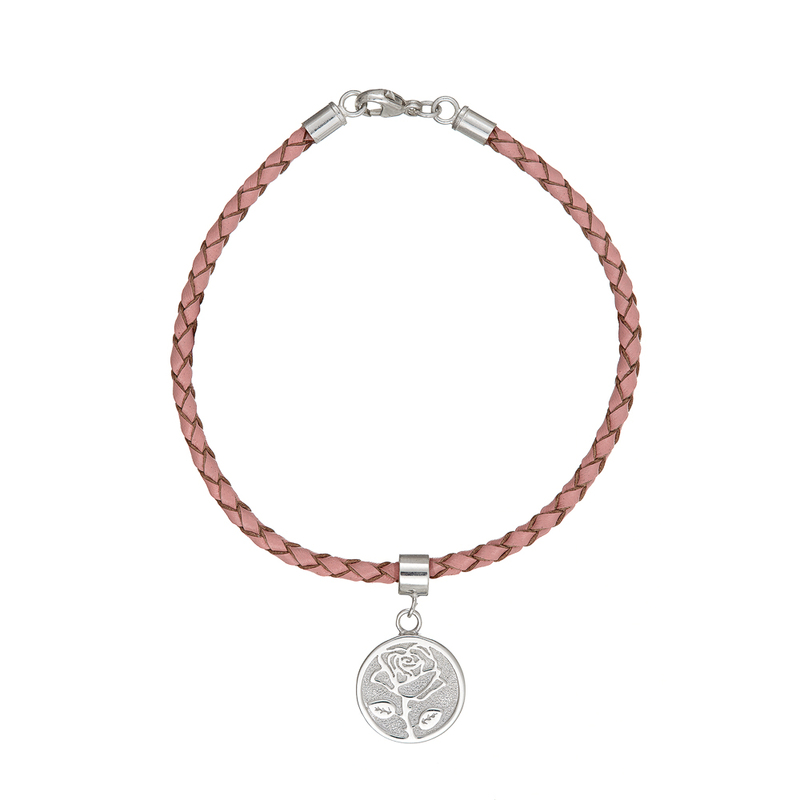 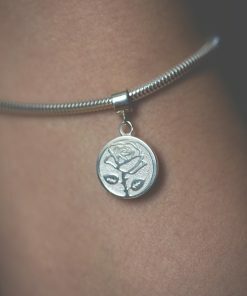 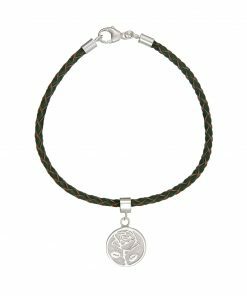 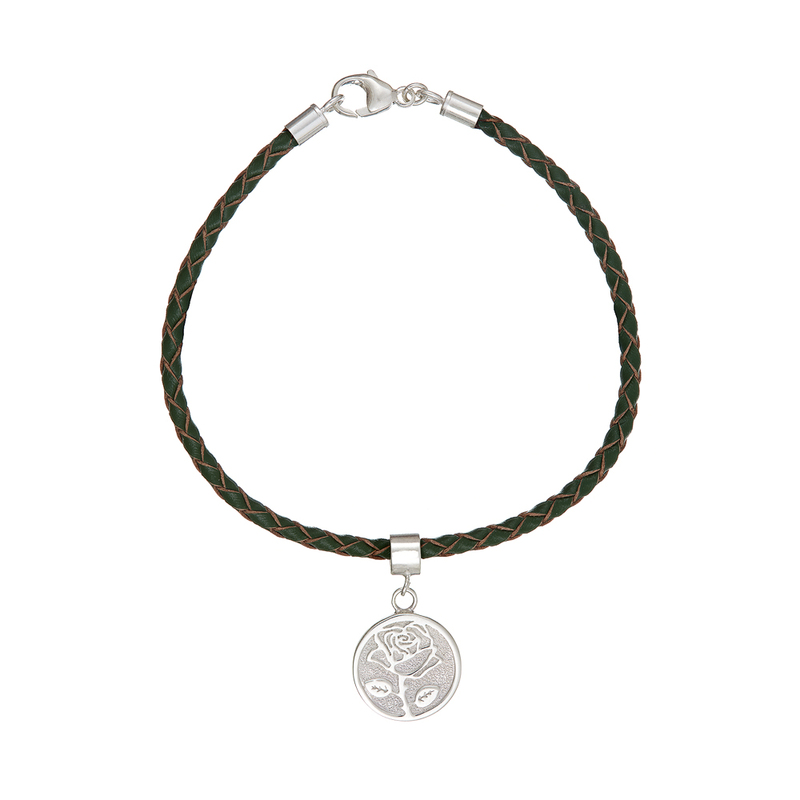 buying the charm with a sterling silver bracelet pictured. 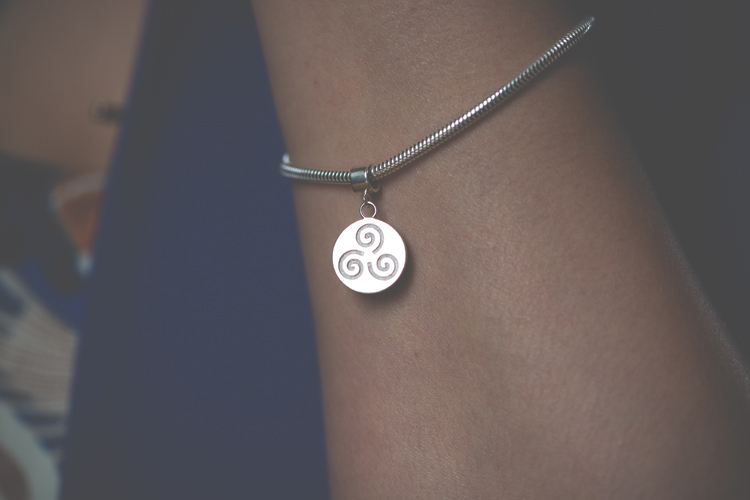 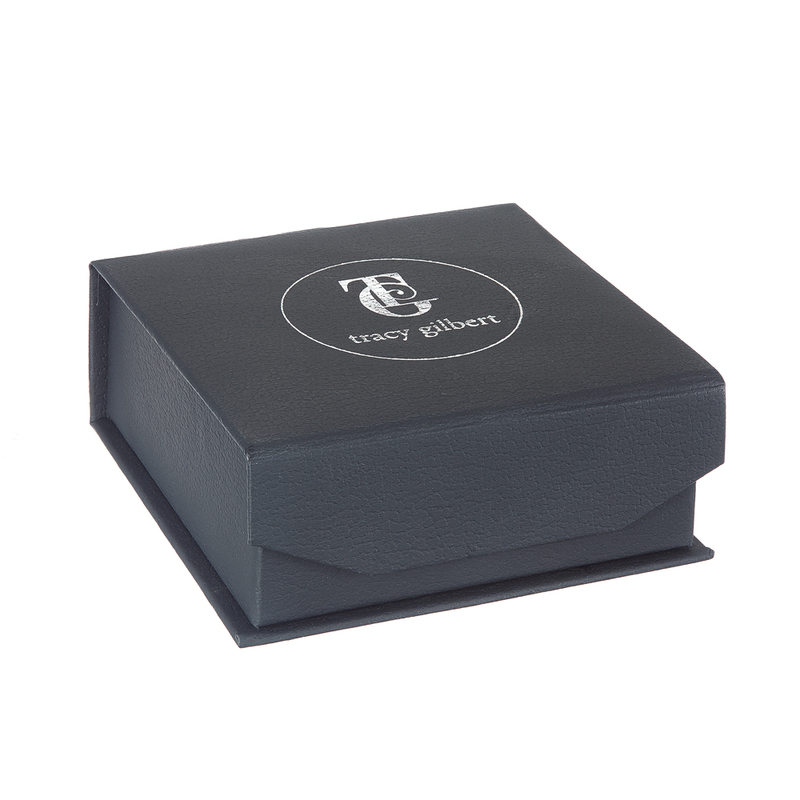 Each piece is crafted from sterling silver and is hallmarked in the Assay Office at Dublin Castle. 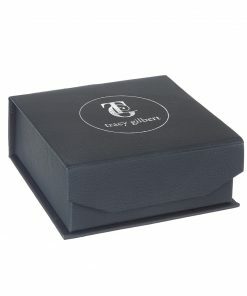 *Please note that the charm has been designed to fit a Pandora-style charm bracelet and has an internal diameter of 4.2mm.